Leave a Comment on What Is A Health Coach? If you have read a couple of my latest blogs you have probably seen that I am just a tad excited about my new career path. Ok, a little more than a tad, let’s just say I’m frickin’ excited! Since signing up last September to become a Health Coach at The Institute of Integrative Nutrition, my life has changed immensely for the better. But I know deep down most of you are probably thinking “What on earth is a Health Coach”? Don’t worry, I wouldn’t have known either six months ago. Like a Life Coach but for health maybe? So I thought it would be best if I explained exactly what a Health Coach is, how they work and what their realm of treatment is. Sound good? Ok, great! IIN describes a Health Coach as supportive mentor and wellness authority who works with clients to help them feel their best through food and lifestyle changes. Instead of prescribing one diet or way of exercising, Health Coaches tailor individualised wellness programs to meet their clients’ needs. So how do you do that I hear you ask? Well this is using IIN’s main principle known as primary and secondary food. Primary food is the food that nourishes you in your life but off the plate. Stick with me here. So for example how do your relationships nourish you? Do they support you and lift you up or are they negative and bring you down? Do you engage in some form of regular physical activity? How about making time for yourself? Joshua Rosenthal the founder of IIN explains that you could eat all the kale in the world and have the most super dooper diet possible but this alone will not make you heathy and happy. Health is so much more than just the food we eat on our plates. In actual fact Joshua says that Primary food is more important and actually overrides the food that we eat, hence why it’s called Primary food. So what I would do is work with a client to identify and improve the areas that they want to make changes to, create a plan for how we will achieve this and then support the client along their journey. I seriously love IIN’s concept of primary and secondary food because after the doctors had failed me and told me there was nothing more they could do for my migraines, I realised that I needed to heal myself and without knowing, I used primary foods in which to do that, and only primary food! I reduced my stress levels, found meditation, spent time in nature, engaged in more quality time with my husband, completely changed my mindset, surrounded myself with amazing friends, found a purpose by writing this blog and began very gentle exercise again. THAT is what helped me heal. Not a magic pill, not a specialist or a new fancy treatment being trialled. I had been healing myself through primary foods without even knowing it. So you can imagine when I found the course at IIN and I saw how it had mirrored the holistic way I had healed myself, I knew straight away that it was exactly the path for me. I knew that I was meant to become a Health Coach. 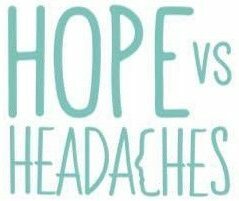 My plan is to use this Health Coach training to try to help the migraine and headache community as there really is nothing out there like it. Once western medicine fails you what else is there and where do you turn? Well from now on there WILL be something to offer hope and a light at the end of the tunnel. That is something I never had but it’s something that’s going to change from now on.